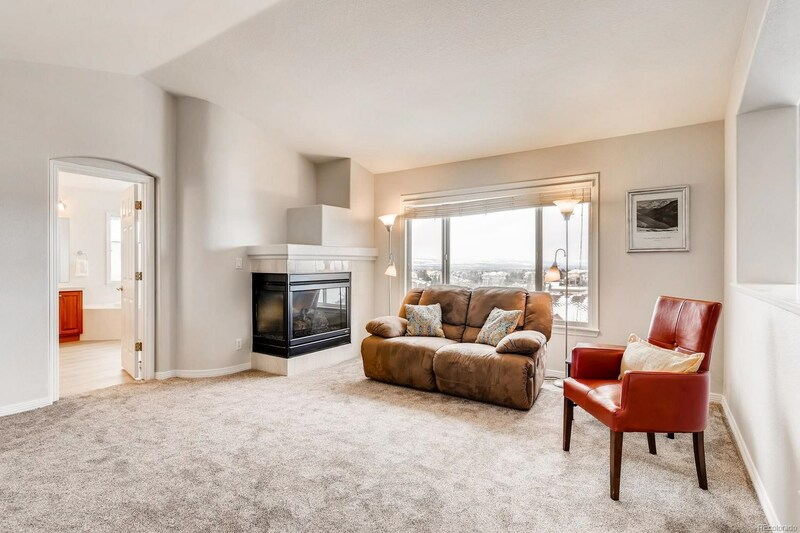 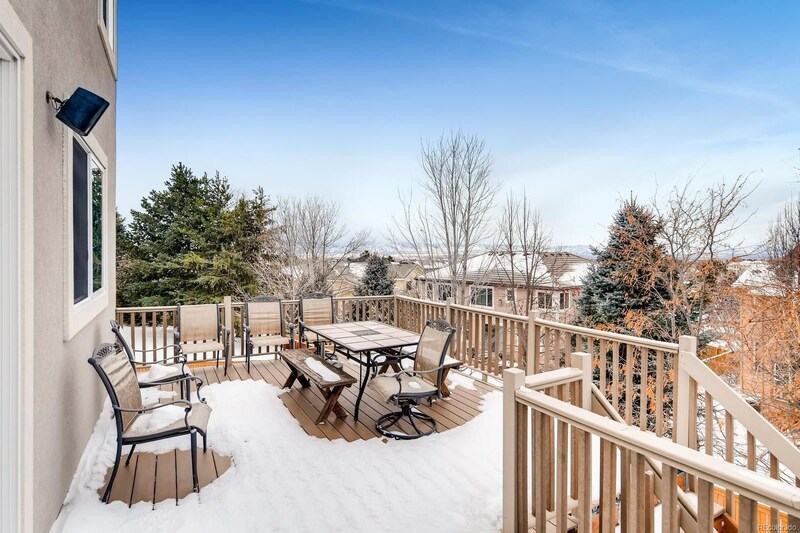 Stunning location, cul-de-sac, south facing, finished walkout basement, mountain and city lights view! 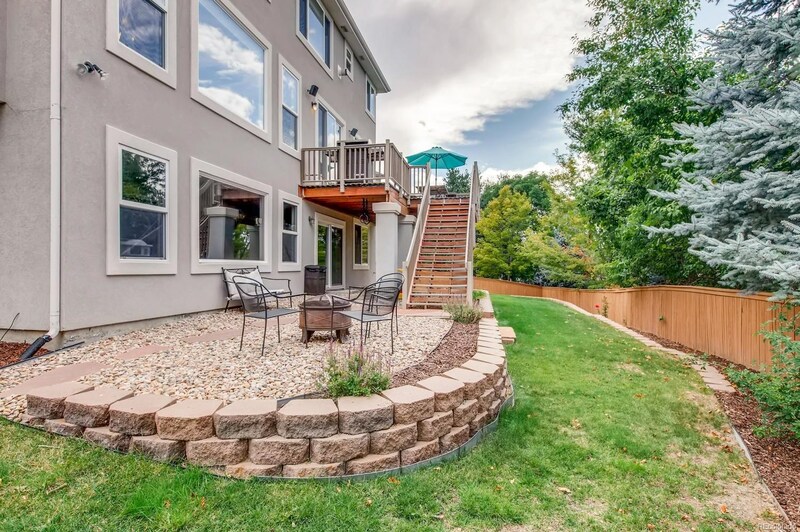 Fantastic premier Stonebury location with 6 bedrooms, 5 bathrooms, 1/4 acre lot! 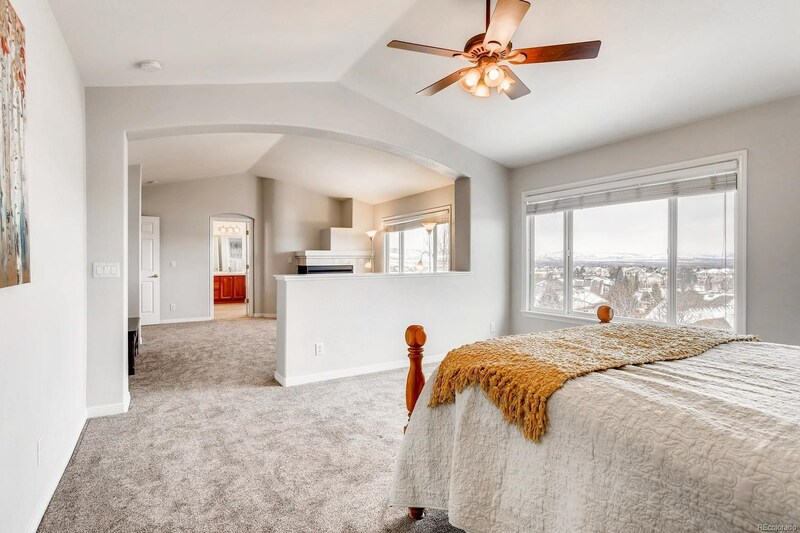 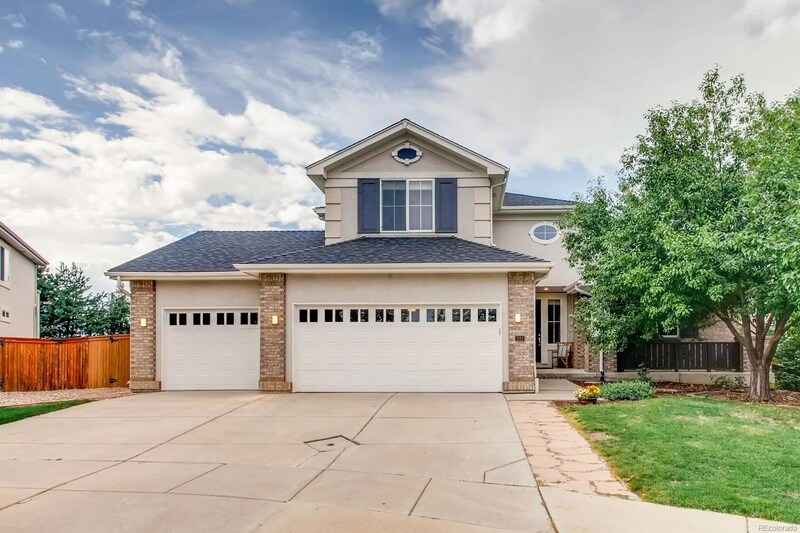 Main floor: formal living and dining room, family room with gas fireplace, large gourmet kitchen, natural cherry cabinets, granite counters, hardwood floors, views, main floor study could be a 7th bedroom, 3/4 bath, laundry room. 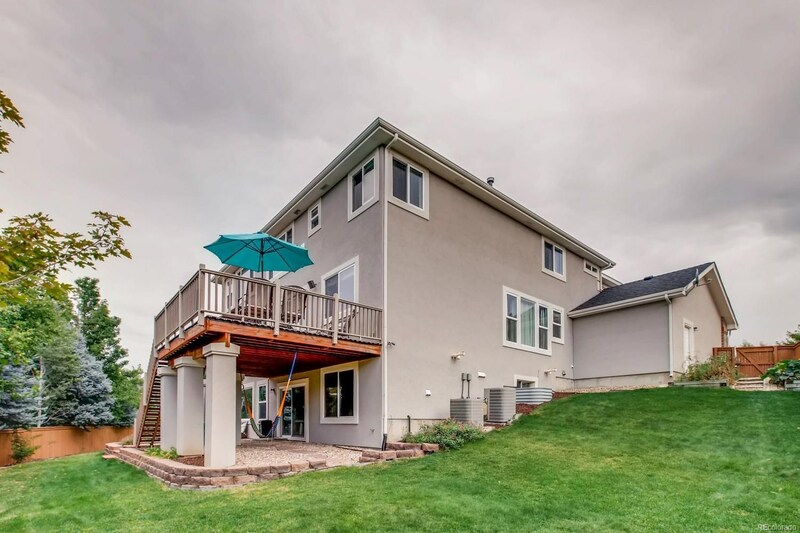 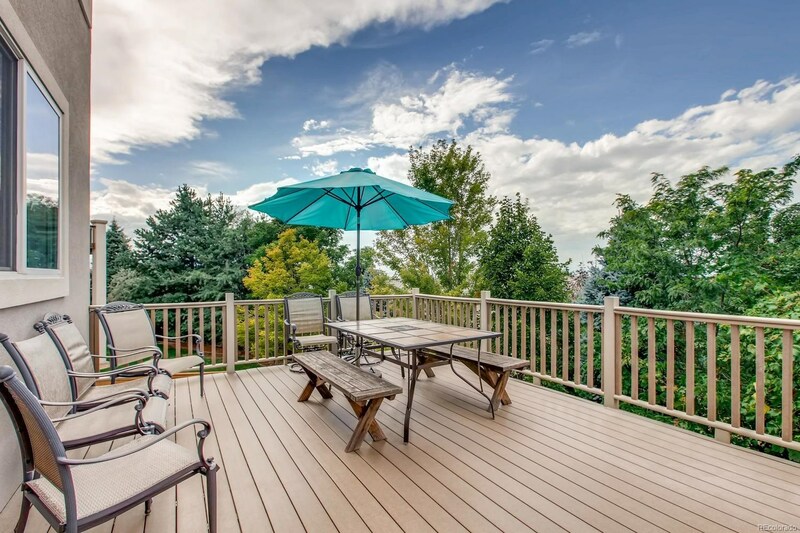 Large trex deck with amazing views! 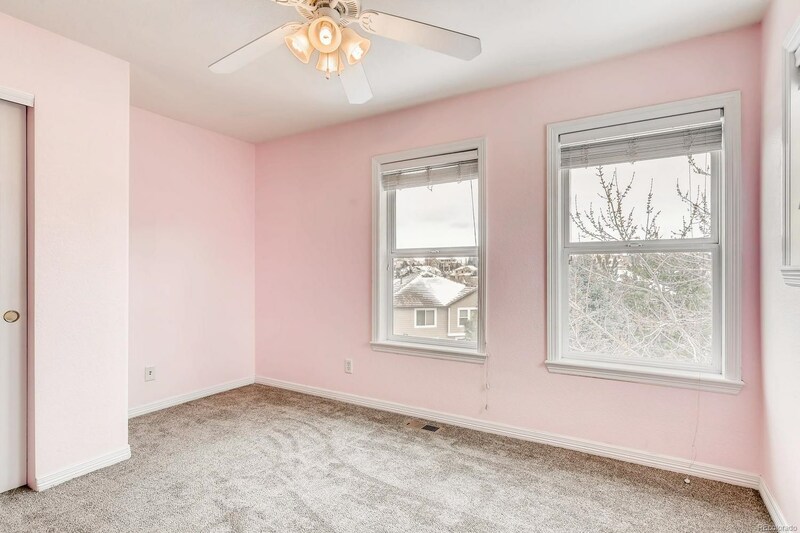 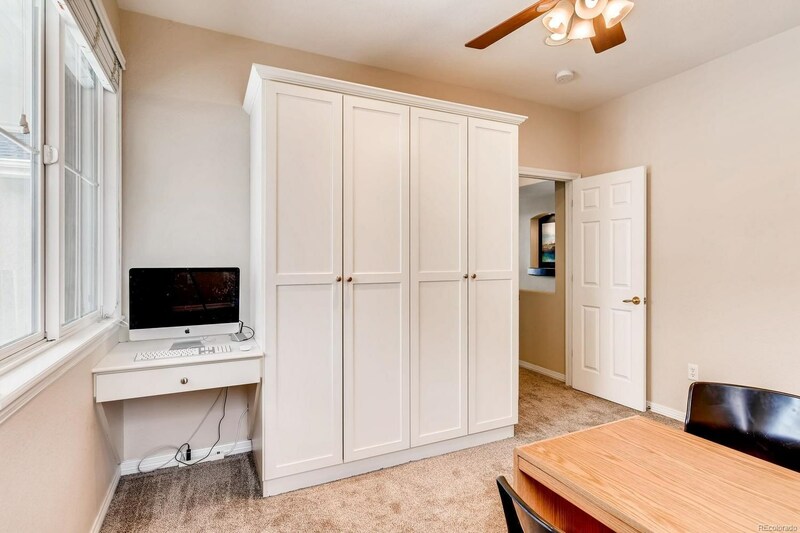 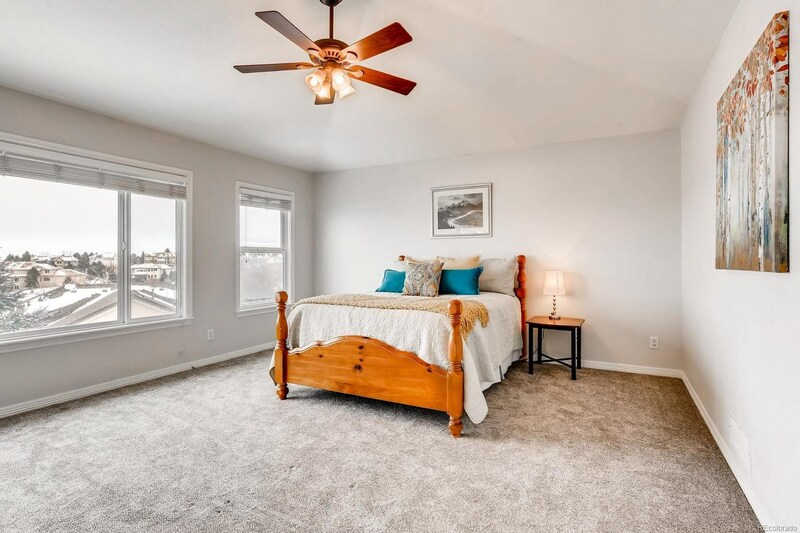 Upstairs: master bedroom with sitting room and gas fireplace, 5-piece bathroom, walk-in closet, 3 additional bedrooms - full Jack and Jill bath, 3/4 ensuite bath. 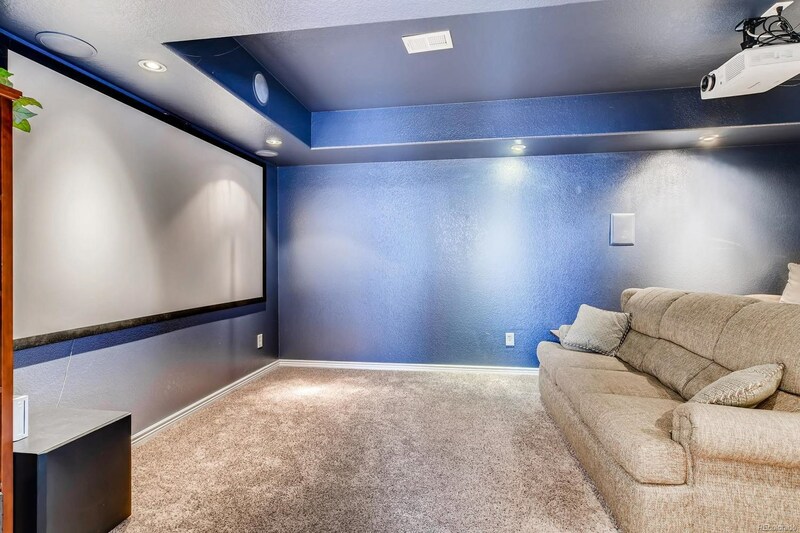 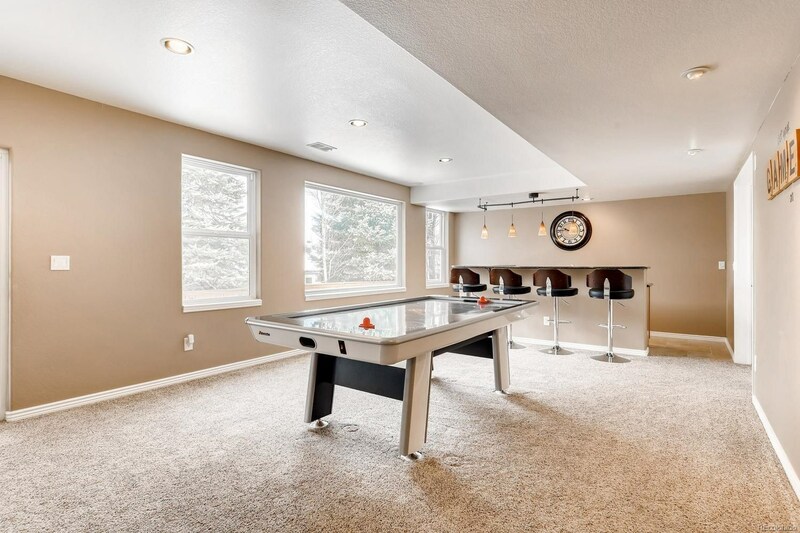 Finished walkout basement with game room, exercise area, theatre room with projector and screen included, 2 bedrooms, 3/4 bathroom and a large storage room. 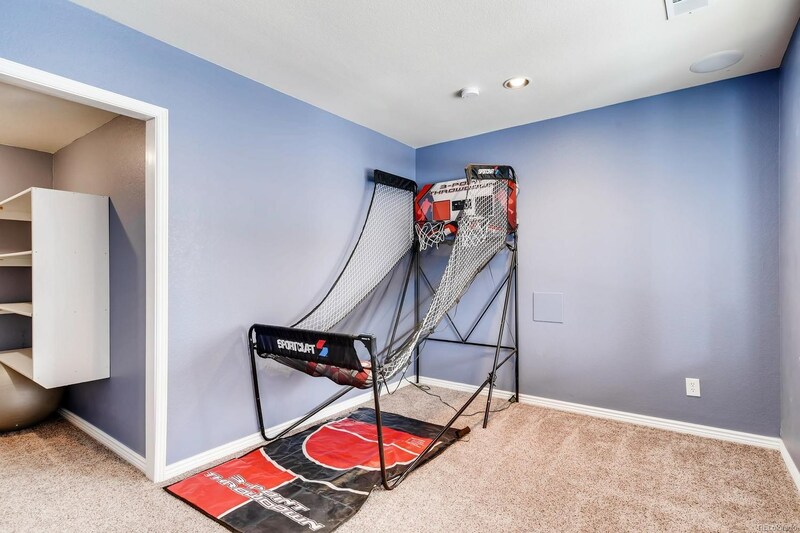 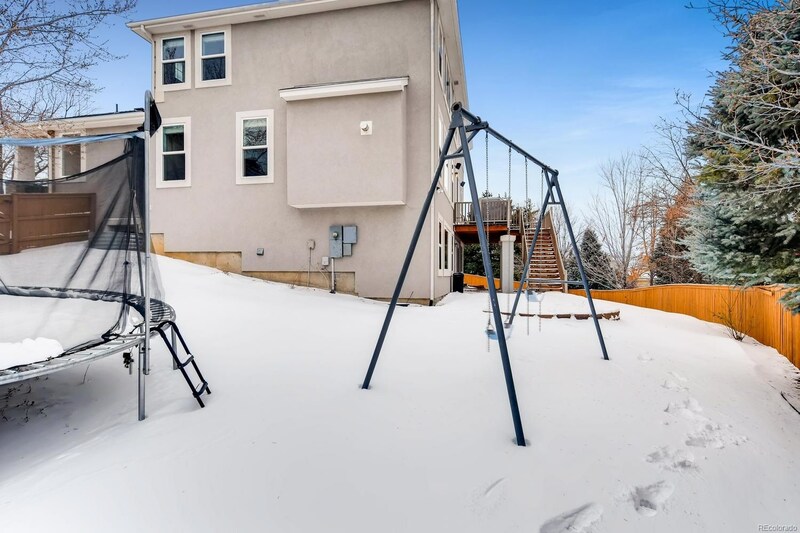 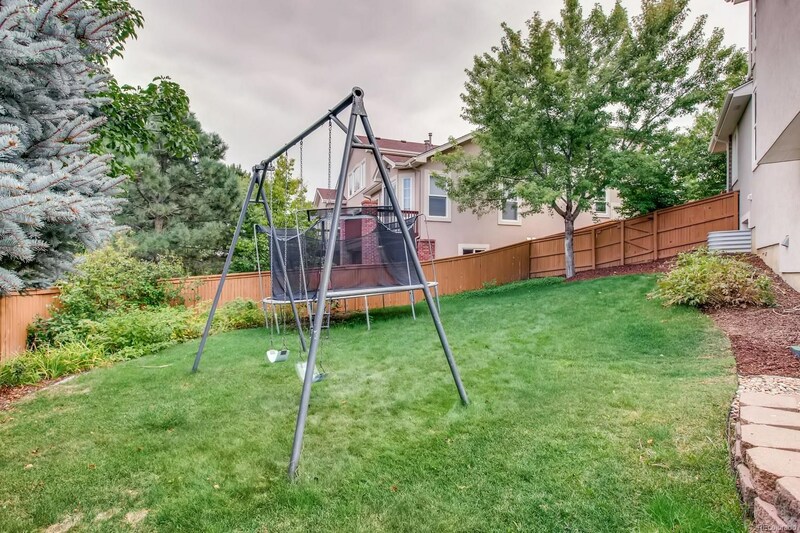 Large fenced yard, playset area, 3 car garage. 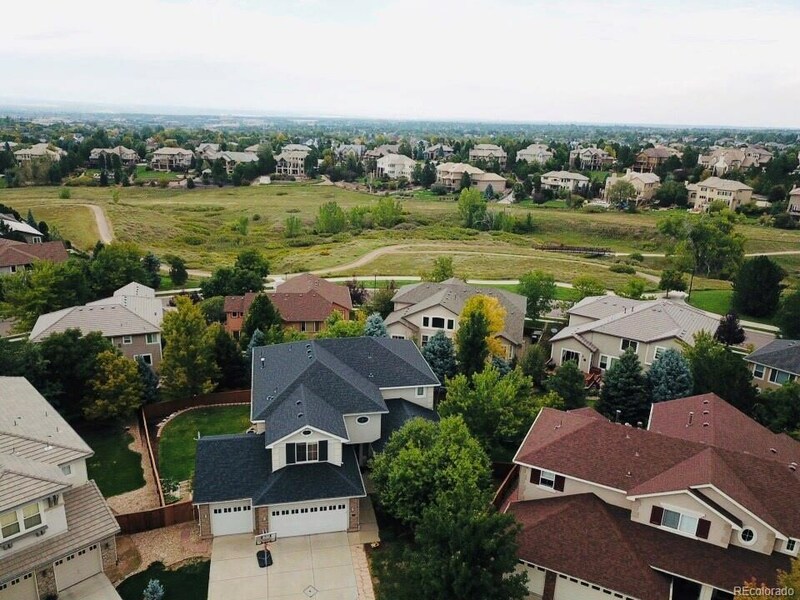 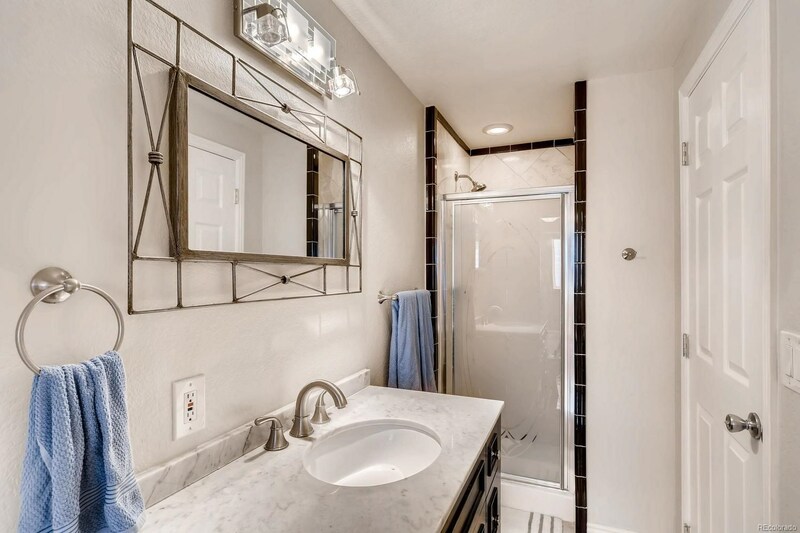 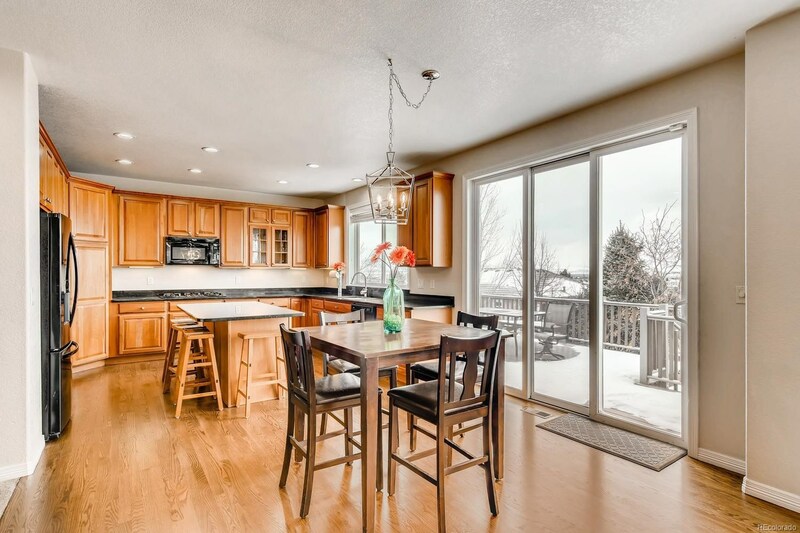 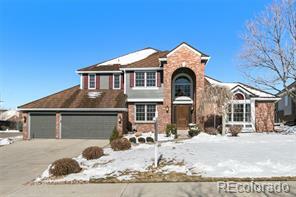 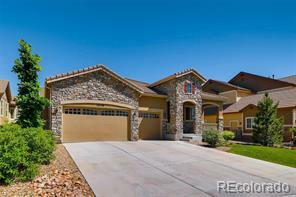 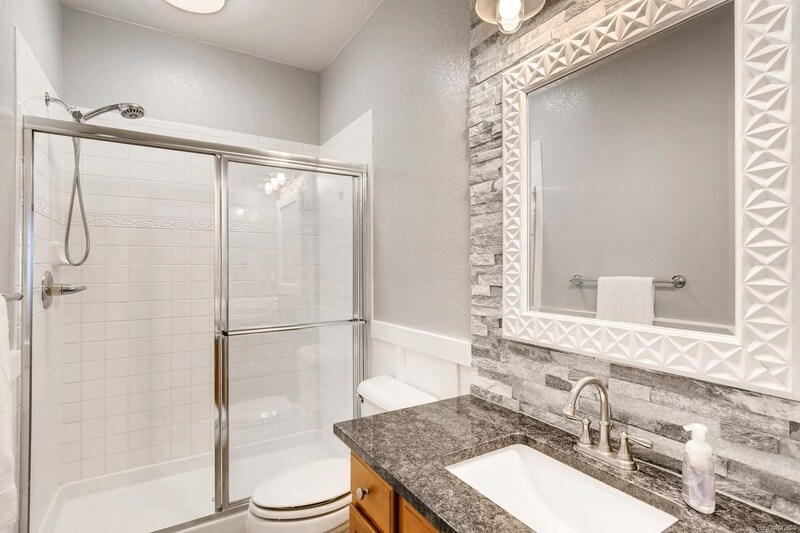 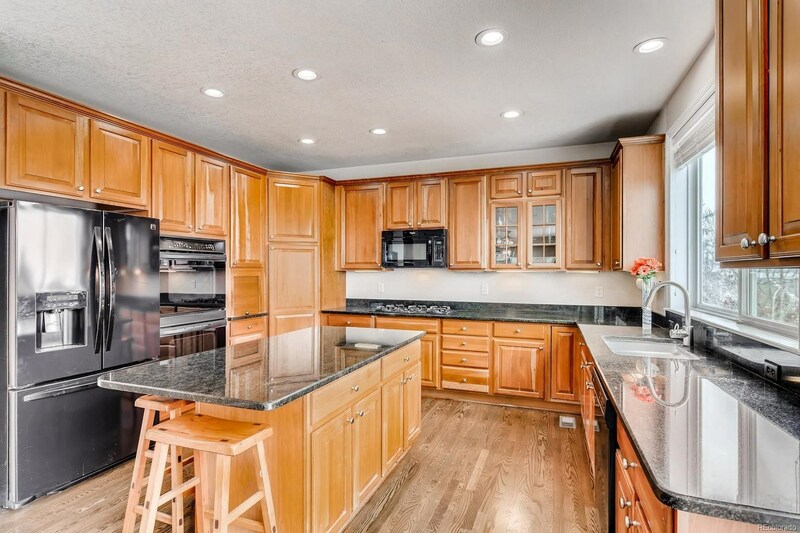 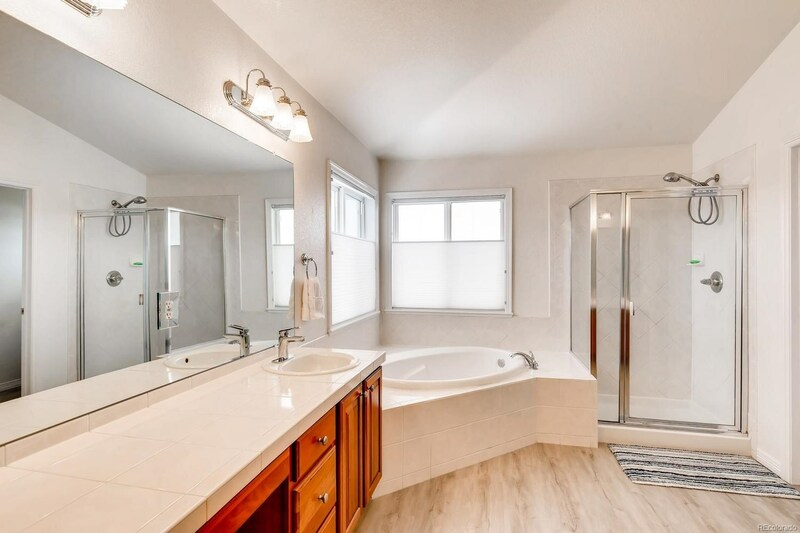 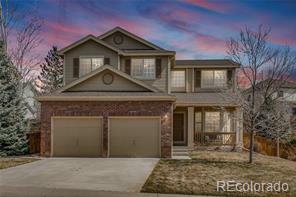 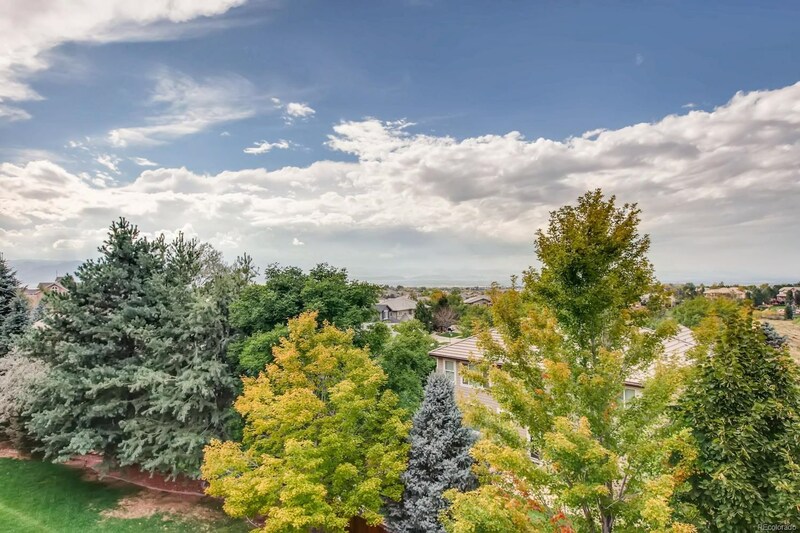 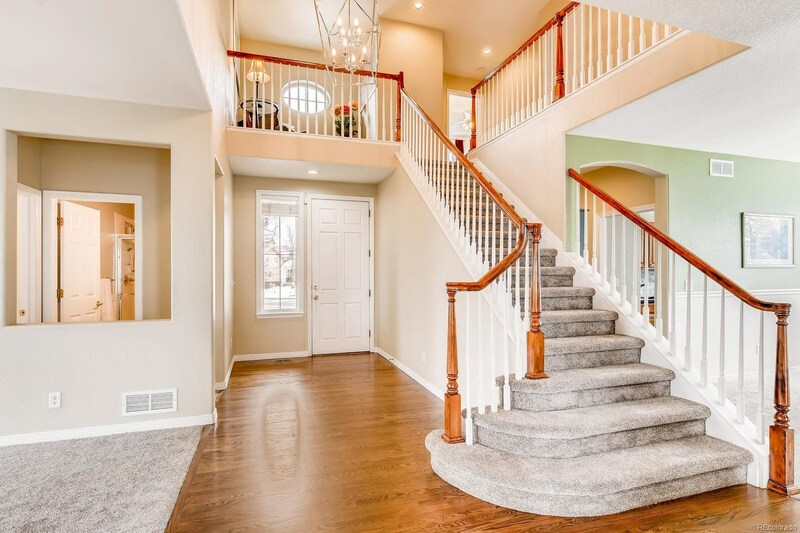 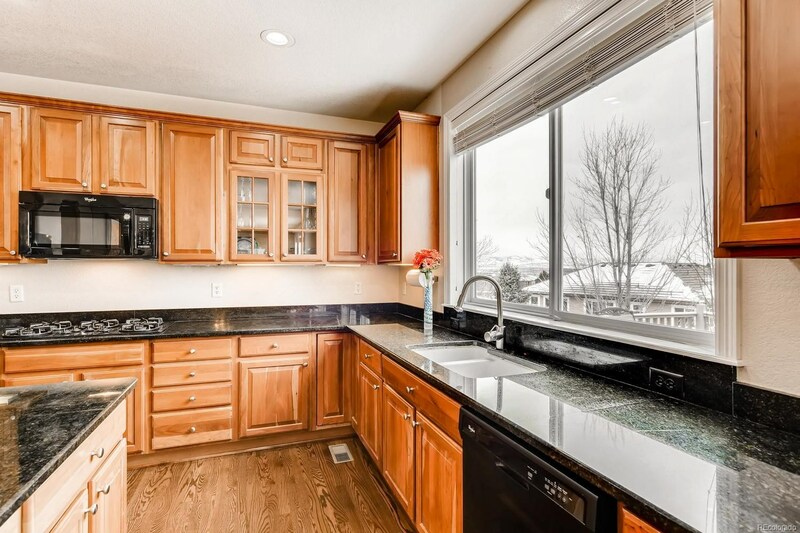 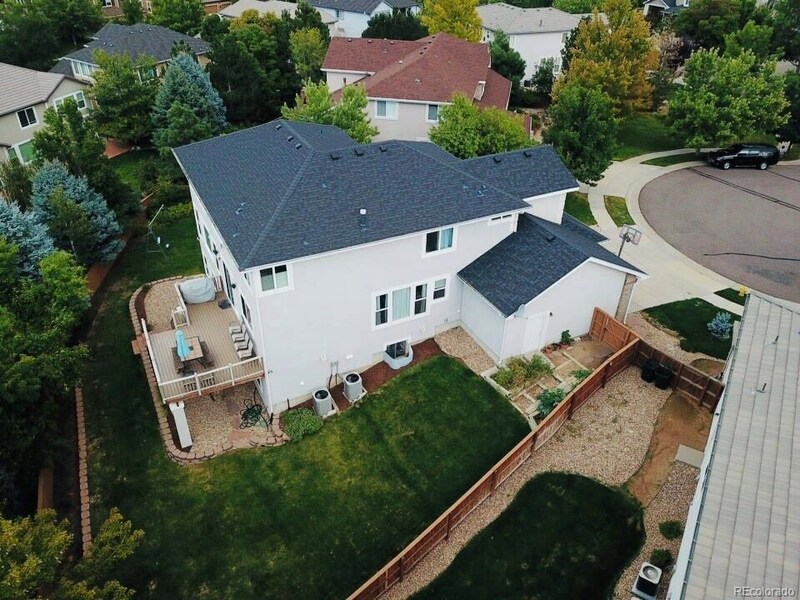 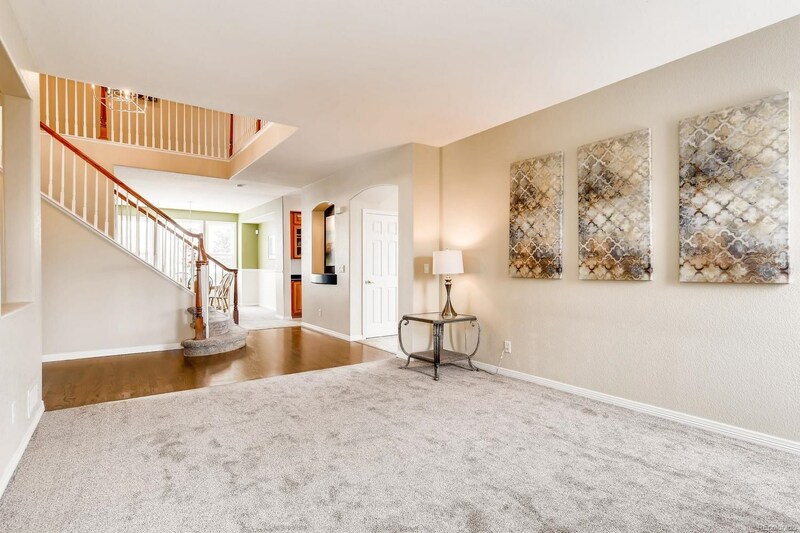 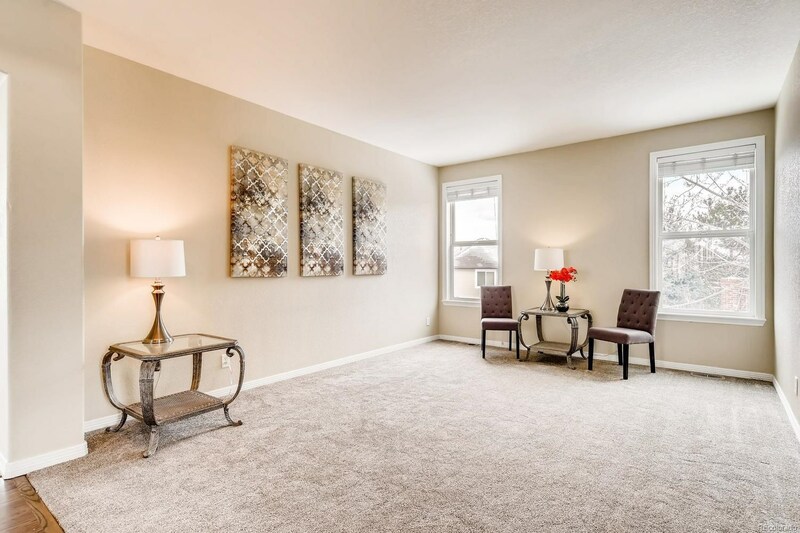 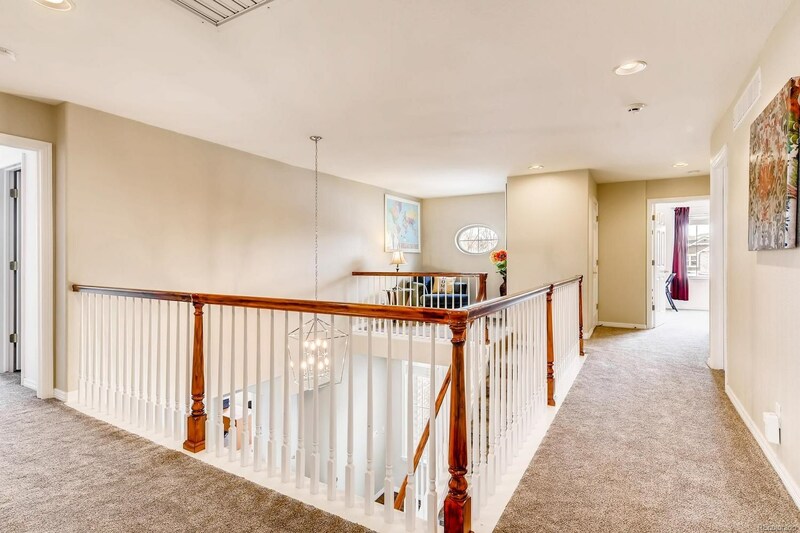 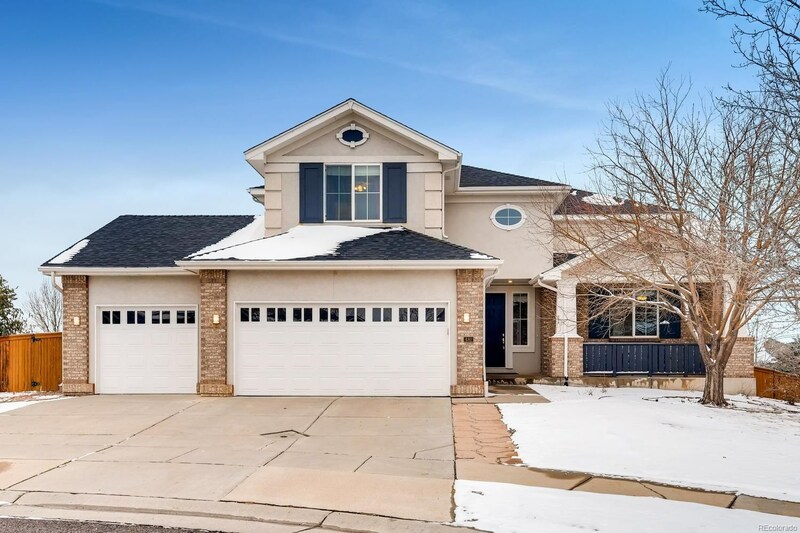 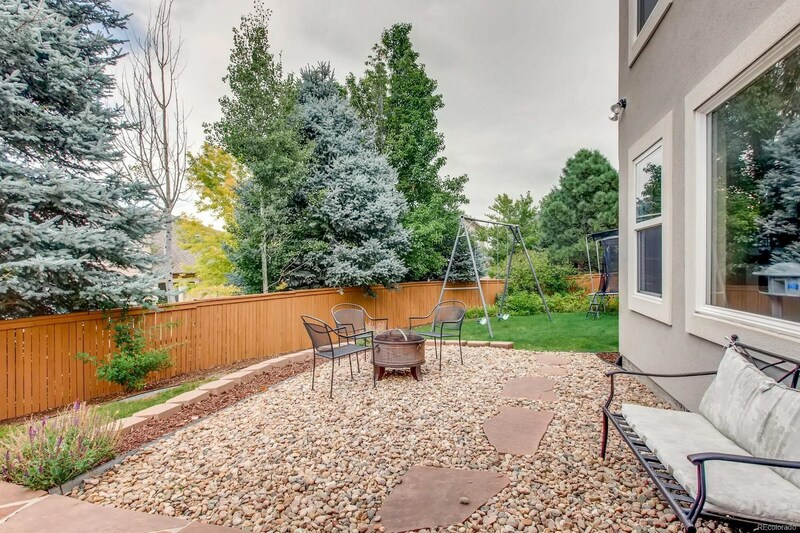 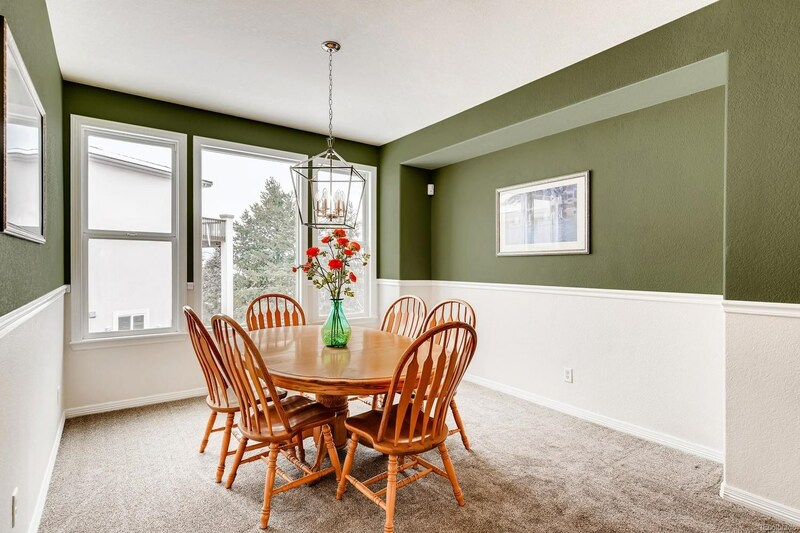 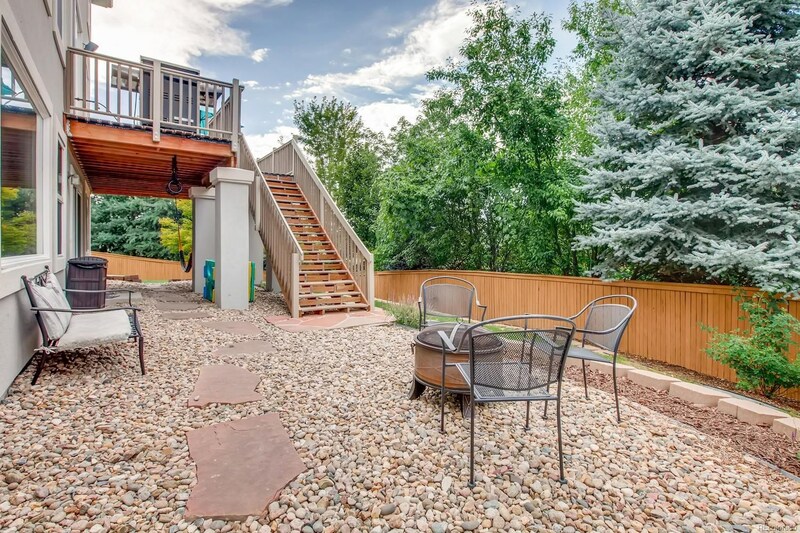 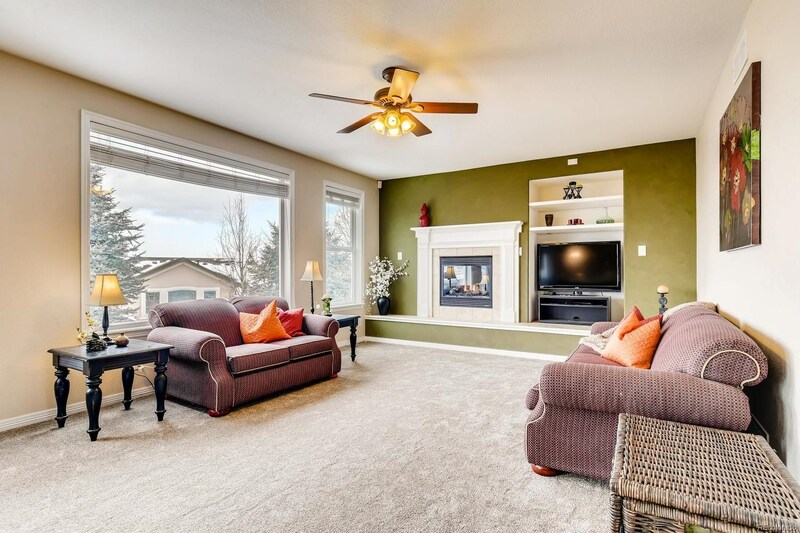 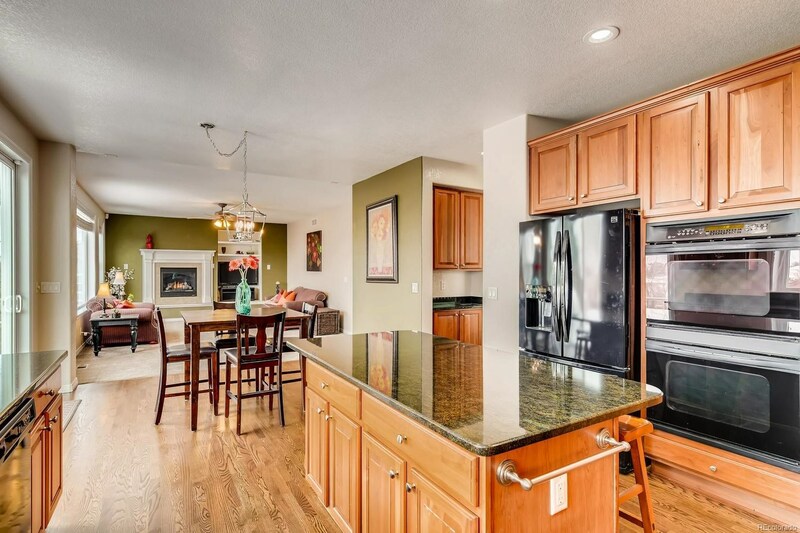 Walk to nearby parks, schools, public transportation, access to 4 Highlands Ranch Rec Centers. 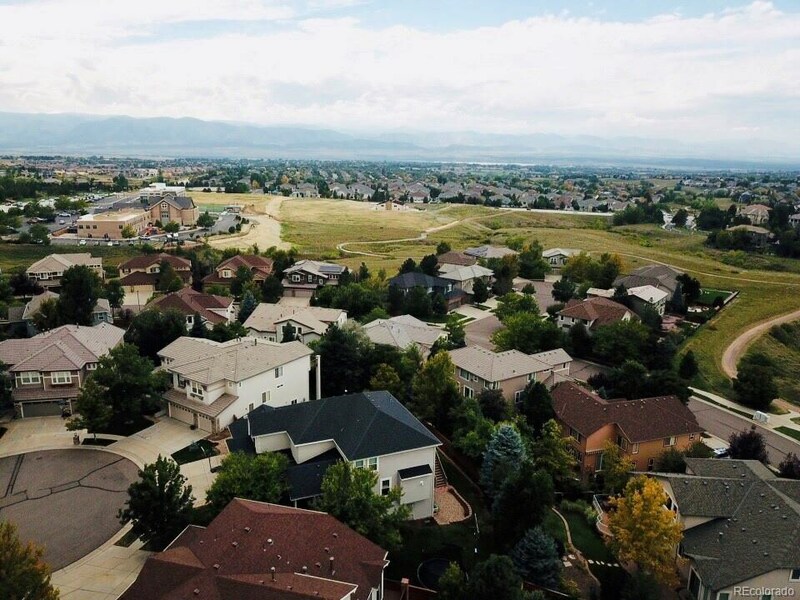 Just off Broadway and Wildcat Reserve Parkway.